This classic one-volume reference work has been appreciated for decades. It is now substantially expanded and revised to focus on a variety of theological themes, thinkers and movements. 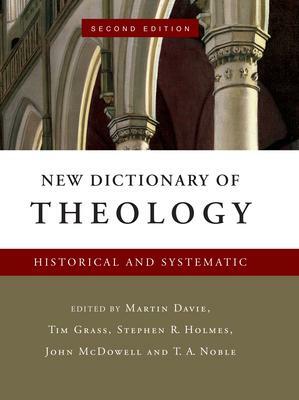 From African Christian Theology to Zionism, this volume of historical and systematic theology offers a wealth of information and insight for students, pastors and all thoughtful Christians. Over half of the more than eight hundred articles are new or rewritten with hundreds more thoroughly revised. Fully one-third larger than its predecessor, this volume focusing on systematic and historical theology has added entries and material on theological writers and themes in North America and around the world. Helpful bibliographies have also been updated throughout. Over three hundred contributors form an international team of renowned scholars including Marcella Altaus-Reid, Richard Bauckham, David Bebbington, Kwame Bediako, Todd Billings, Oliver Crisp, Samuel Escobar, John Goldingay, Tremper Longman III, John McGuckin, Jennifer McNutt, Michael J. Nasir-Ali, Bradley Nassif, Mark Noll, Anthony Thiselton, John Webster and N. T. Wright. This new edition combines excellence in scholarship with a high standard of clarity and profound insight into current theological issues. Yet it avoids being unduly technical. Now an even more indispensable reference, this volume is a valuable primer and introduction to the grand spectrum of theology.